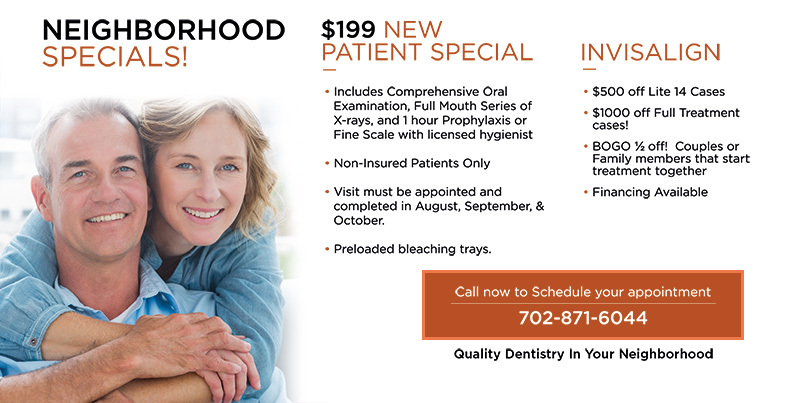 • Includes Comprehensive Oral Examination, Full Mouth Series of X-rays, and 1 hour Prophylaxis or Fine Scale with licensed hygienist. • $500 off Lite 14 Cases. • $1000 off Full Treatment cases! • BOGO ½ off! Couples or Family members that start treatment together.